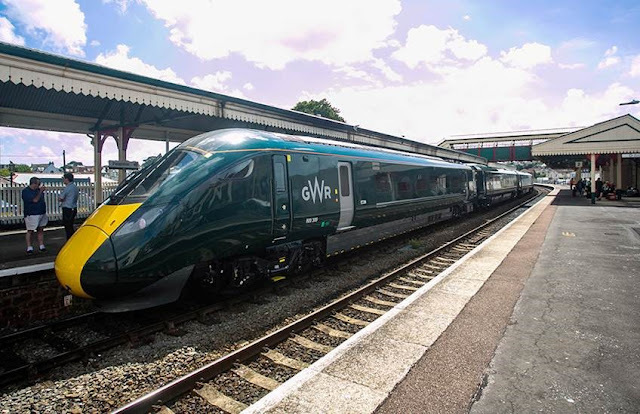 Great Western Railway’s 12.10 arrival at Paignton from London Paddington on Saturday 28th July marked the first Intercity Express Train to travel to the seaside town. The 9-carriage long Class 800 train, 800309, is the first Intercity Express Train to travel from London beyond Exeter in passenger service, marking another milestone in the roll out of the new fleet. “This Intercity Express Train running to Paignton is a key milestone in the delivery of the new fleet across our network. The new trains boast up to 24% more seats per a train than the High Speed Trains that they are replacing; with more legroom, an at-seat food and drink service and improved air conditioning. Devon and Cornwall will further benefit from the Intercity Express Trains when the region-specific Class 802 variations begin to be introduced later this summer. 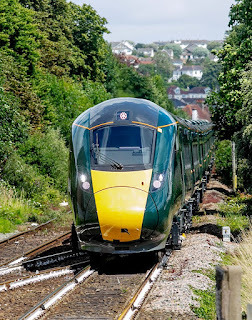 "This first Intercity Express, travelling from Paddington all the way to Paington, is testament to GWR's support for the economy and the travelling public of the UK. Fast and efficient travel is key to building our economy and this important development is yet another indication that the South West is very much open for business." The train operated to Devon for the first time as part of normal rotation of the fleet; and regular IET services will start later this Summer.